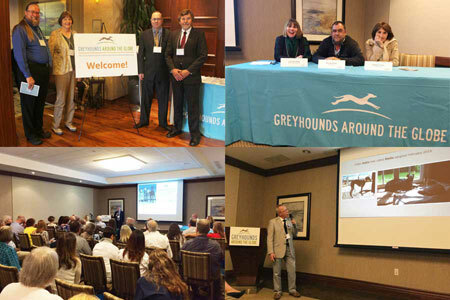 This conference was held October 15, 2016, Grey2K hosted a one day seminar to address the efforts across the globe to end greyhound racing. This will be my review of the speakers and the task ahead. The session was started by Florida Senator Maria Sachs who I've personally worked with in the past for decoupling efforts. She gave a proclamation to Christine Dorchak and Carey Theil for their efforts in Florida. There is no doubt that Grey2K has a major impact around the globe, what began as a effort to close all the tracks in the U.S. has now expanded globally. Their attendance at important meetings have unquestionably made their voice heard loud and clear at the conference. First, a Republican and a Democrat state representative spoke to us. Within the Florida legislature, they have a Republican Governor and the Republican party outnumbers the Democrats. Jared Moskowitz, a relatively new Democrat state representative showed his support of decoupling greyhound tracks, which will permit any track to end live racing if it is passed by state legislature. Matt Gaetz was the Republican representative that spoke. Gaetz's father was the former senate president and during the last day of the final session, the senate passed decoupling legislation. In my view that was a nice gesture, but meaningless. Anything passed by one house that has been on the table during the full legislative session is strictly a token if passed on the last day. They already knew that the house in Florida and would not even discuss it; of course there wasn't much time to discuss it anyway. 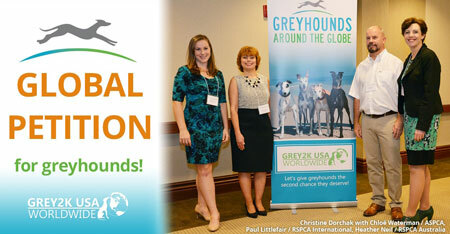 Moskowitz and Gaetz spoke about the fluctuation in the dynamics of animal rights legislation as the legislative representatives change every year, many could care less about saving greyhounds and closing tracks. The Florida state legislature will often choose doing nothing rather than doing something. There is another legislative session in early 2017 but, from what they said, I would not expect too much. ChloÃ« Waterman from the ASPCA also contributed with this session. Historically, the ASPCA has supported Grey2K but when I asked specifically about Kansas, where a greyhound is exempt from being a dog and does not have the same protection of a dog, her response was not impressive. Although I did not mention it in this forum, my wife and I personally dislike their pathetic national advertizing campaign to get $18 per month from viewers. The next group of speakers from Macau assured everyone that the track in Macau has now been cut off from greyhounds due to significant demonstrations against airlines worldwide and the number of greyhounds will soon dwindle meaning fewer races that often put dogs in peril since there is no turnover. The conditions in Macau are horrendous. According to Albano Martins, president of Animal Macau, the track will surely close in 2018 and arrangements have been made to fly the dogs to Portugal where they will be distributed for adoption. There were also talks from Karina O'Carroll, the manager of Animals Asia Foundation and Paul Littlefair, the head of the International RSPCA. Both of these organizations work in educating the youngest about the importance in caring for animals, hopefully when they get older they will remember. After lunch we heard from Marilyn Varnberg of Greyhound Adoptions of Florida and Kelly Faircloth of Greyhound Rescue and Adoptions of Tampa Bay. Both of these ladies spoke quite eloquently and had everyone in tears about their hard fight as greyhound advocates surrounded by kennel operators and other adoption programs that would give them no support. 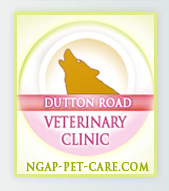 Both of these organizations take in and find homes for the older broods, the broken greys, and dogs that no one would take. Eric Jackson from Grey2K, and Herve Marysael, President of Greyhound rescue of Belgium, also spoke. Mr. Marysael discussed the history of his organization and how he was first introduced to the rescue of greyhounds when he saw a video made by National Geographic where dogs were being dug up in Ocala, Florida. I later told him that I obviously made a significant impact on his life because I was instrumental in having National Geographic produce that very explicit documentary about the cruelty of greyhound racing and I was also on the backhoe digging the dogs up in Ocala, Florida. 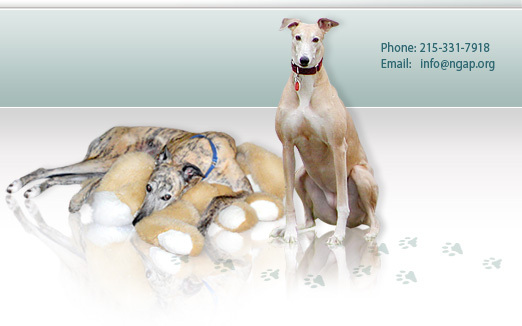 Lucinda Reed, Director of Greyhound Compassion, runs a fundraising organization to primarily support Scooby in Spain. Scooby only has about 600 galgos in the compound as well as other dogs, cats, and a few other animals. Lucinda Reed's talk was followed by Fermin Perez, President of Scooby, who also works as a teacher in addition to taking care of all of the animals in Scooby. Almost every weekend, he hops in a van specially fitted with cages and drives to one of the European countries delivering galgos and taking them out of Spain to France, Germany, and other European countries. Last year they adopted over 1,400 galgos...WOW! The last group of speakers were supposed to be three from Australia, unfortunately only one could attend. Heather Neil was an eloquent speaker giving a speech greyhound racing being inbred in Australian culture, as each large city has a greyhound track. There are 77 tracks nationwide in a country with a population on 34 million. She expressed how gambling is a part of Australian culture and compared to the rest of the world, Australian gaming revenues have gone up. Recently there was an exposÃ© of pictures shown around the world of greyhound trainers using small live animals to train their greyhounds. This led to the Premier of South Wales banning greyhound racing at edict. Unfortunately, it was short lived because of the furor from around the country. The Premier had the decision of either revoking his ban or losing his post in government; he subsequently reversed the ban. 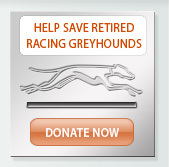 In Australia, most greyhounds that walk the streets must wear a muzzle. Only greyhound that have gone through greyhound--shall I use the word "vetting", a common term in the U.S. during the election season-- shown by wearing a special green collar are permitted to not wear muzzles. After her speech, I stood up and said, "obviously your greyhounds are different than our greyhounds because our greyhounds can come to the National Greyhound Adoption Program directly from the track, unwind a bit, be profiled, cat tested, and given some love and care in addition to being neutered or spayed and having their teeth cleaned before going almost directly into a new forever home. No vetting or muzzles in the streets." Of course, my comment was tongue-in-cheek because I meant our greyhounds were really the same and should not be considered to be something less because they are from Australia. The day was completed with a dinner and a speech from Wayne Pacelle, President and CEO of the Humane Society of the United States. We chatted for a moment and he commented on the good work that he knew NGAP was doing. I met Wayne many years ago in a conference in California when he had not yet achieved his current status. HSUS is certainly a large organization that takes on projects around this country and around the world. He came as a cheerleader and supporter of the efforts of Grey2K. Wayne did say we should build a wall and put all animal abusers behind it. Sound familiar? I am sure if you visit Grey2K USA's website, they will have plenty of additional comments from their conference.